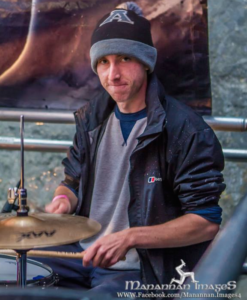 Sam has been studying drums for the past 9 years, and is experienced in performing and teaching in a wide range of styles. He has played with a numerous bands during this time, and his current band ‘Red Shift' gig around the Island regularly. Previously, Sam has worked as the drum tutor at Peter Norris Music, and was also accepted to study drums at Tech Music School (now BIMM London) in central London. Sam takes students of all levels and ages.